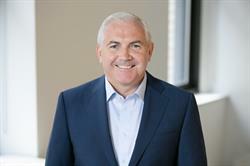 BOSTON, MA--(Marketwired - October 24, 2017) - International Data Group, Inc. (IDG) announced today that it has appointed John P. O'Malley as Chief Operating Officer (COO) of IDG Communications, Inc. In his role as COO, John adds responsibility for finance and operations to his current oversight of IDG Communications' engineering, demand generation and direct marketing functions. Mr. O'Malley heads the company's data business and global data protection regulation (GDPR) efforts, ensuring the quality and compliance of IDG Communications' exclusive first-party data in 147 countries. "IDG is a company of top performers and John is perfect evidence of that," commented Kumaran Ramanathan, President, IDG Communications. "He has consistently launched new businesses, improved performance in existing operations and driven high profit margins across the board." Mr. O'Malley said, "I am honored by today's announcement. IDG Communications' global footprint presents unique opportunities to fuse business, financial, and technology interests into cohesive, driven, and focused operations. Mr. O'Malley joined IDG 18 years ago after holding positions at Gateway and Compaq. He has worked extensively in the U.S., Europe, Middle East, and Asia. John brings a wealth of experience in positions spanning strategy and business development, and serving as CEO of IDG's demand generation business and international sales and operations divisions. "Anyone who has worked with John knows him to be a skilled leader focused on achieving results," added Ramanathan. "I am excited to work with John to drive sustainable performance and success at IDG Communications." Brett Liu, Director of China Oceanwide and President of IDG, said, "As an 18 years IDG veteran, John has an outstanding track record in business operations. We are very pleased with the new leadership team of IDG Communications and are confident that Kumaran and John will inspire by example and take the company to even greater heights." John P. O'Malley, COO of IDG Communications, Inc.